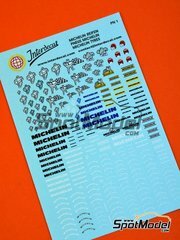 Logotypes of different tyre manufacturers: Falken, Proxes, Eagle, Good Year, Hoosier, Toyo tires, Dunlop, Pirelli, P Zero, Hankook, BF Goodrich, Bridgestone, Kumho, ECSTA, Eagle, Advan, Nitto, Idlers, Azenis, Michelin , ... 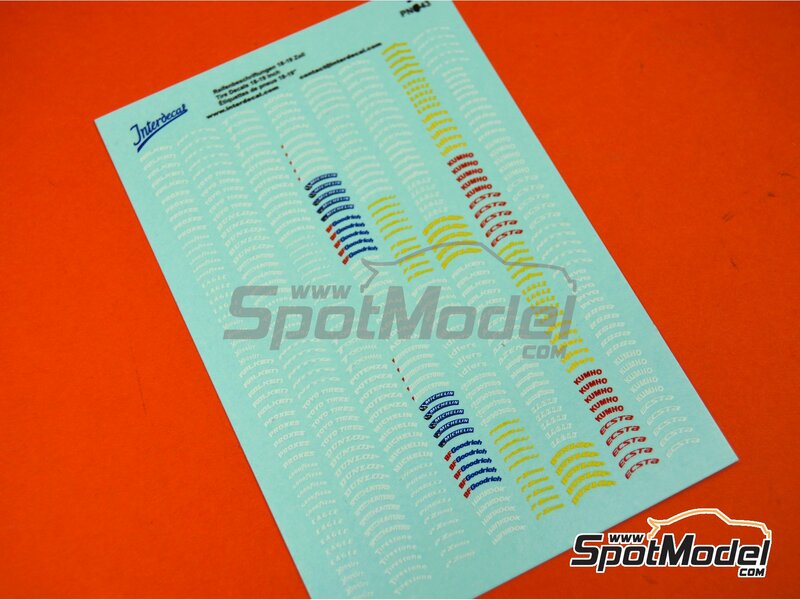 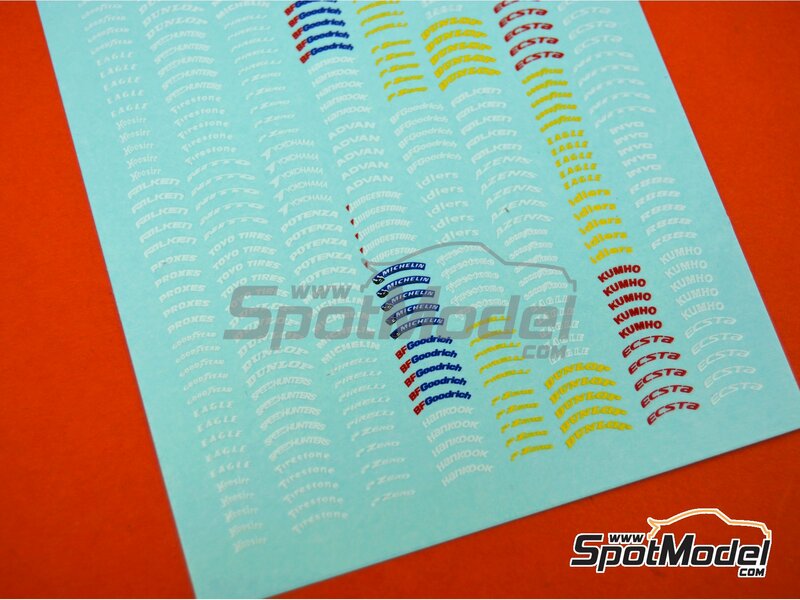 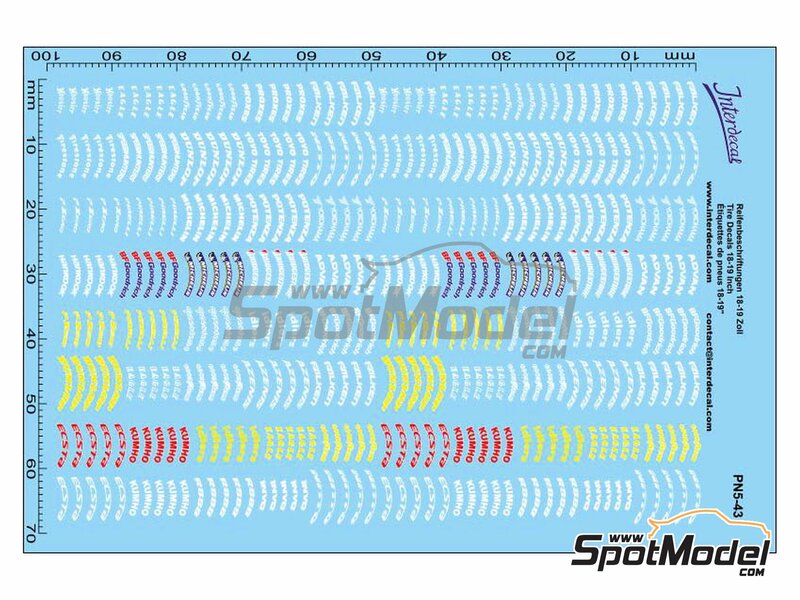 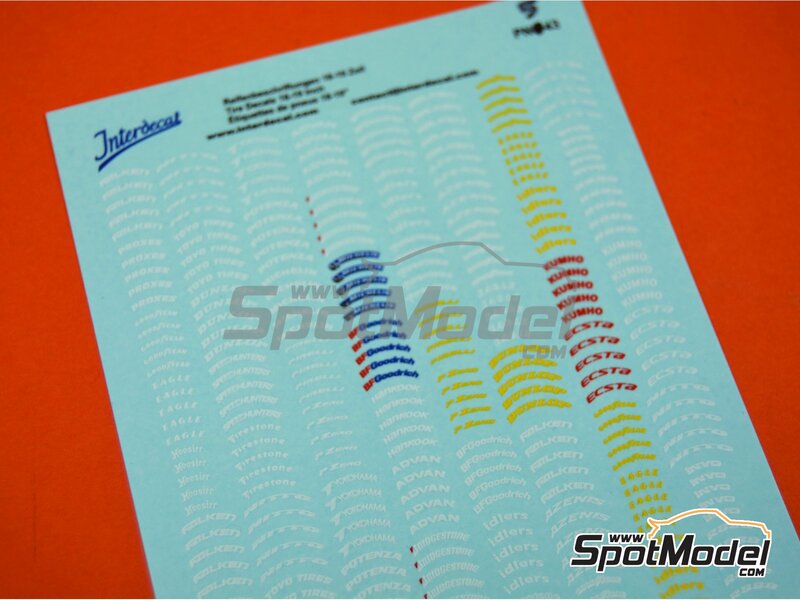 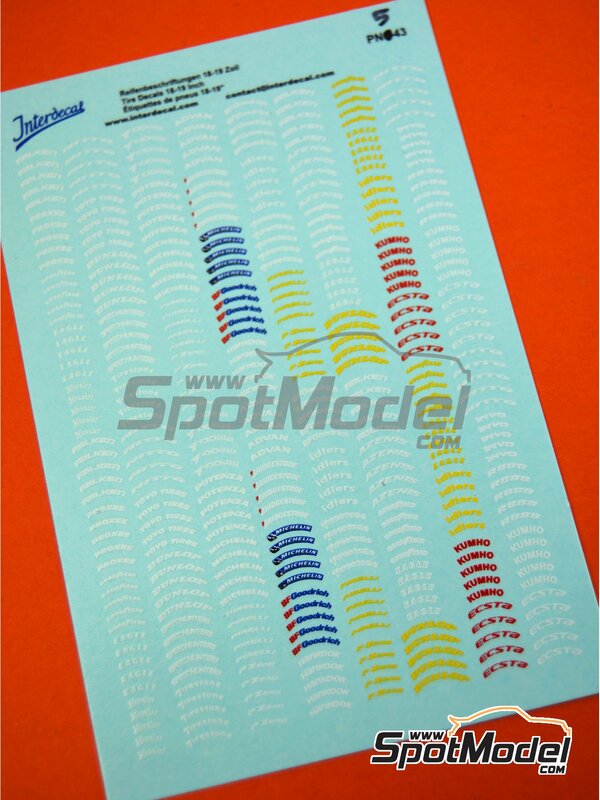 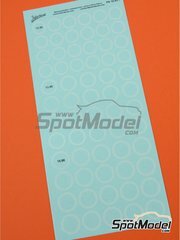 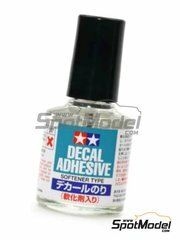 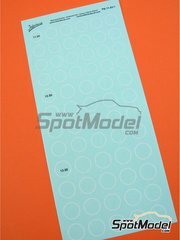 These decals are designed to be used on 1/43 scale wheels. 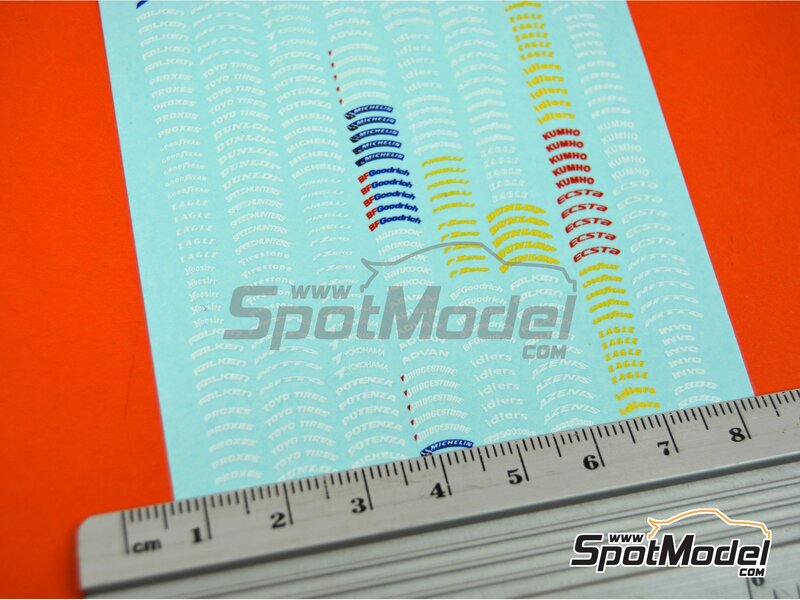 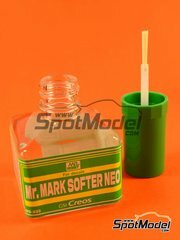 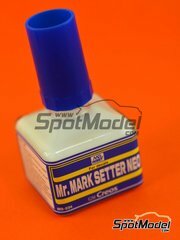 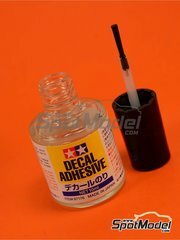 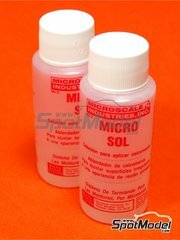 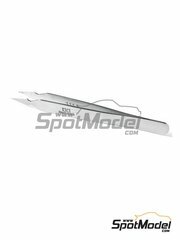 Manufactured by Interdecal in 1/43 scale with reference PN5-43 (also listed as INTPN3-43). 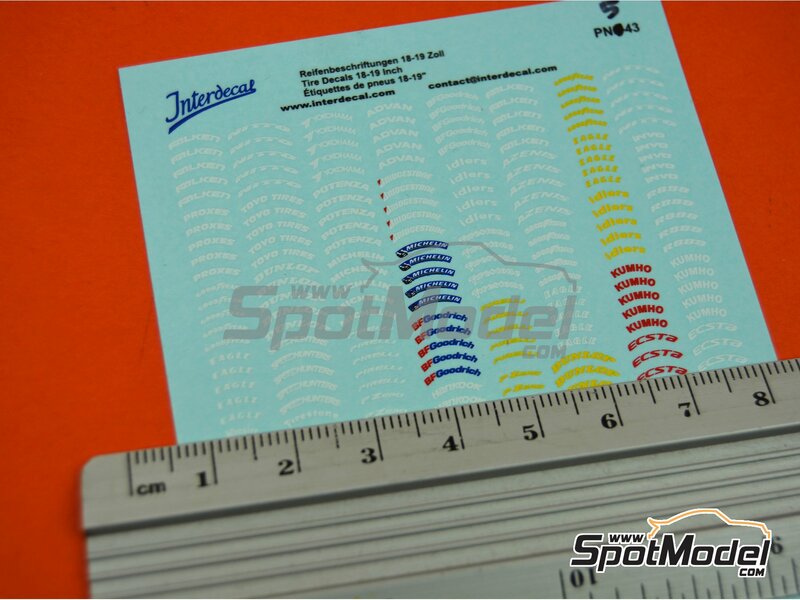 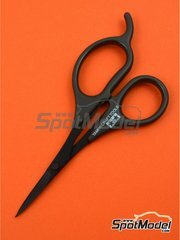 Package measures 87 mm x 113 mm x 1 mm (width x depth x height), weighting 2 g.
Featured in newsletters 342 and 349.